Tungsten has gained a lot of popularity recently. Tungsten uses about 50% less space than lead for the same amount of weight. This means 1-ounce tungsten alloy fishing jigs have a smaller volume, letting it penetrate weeds easier. This makes your fishing more sensitive since dense material transmits vibrations differently depending on if you are fishing in mud, rock or wood. 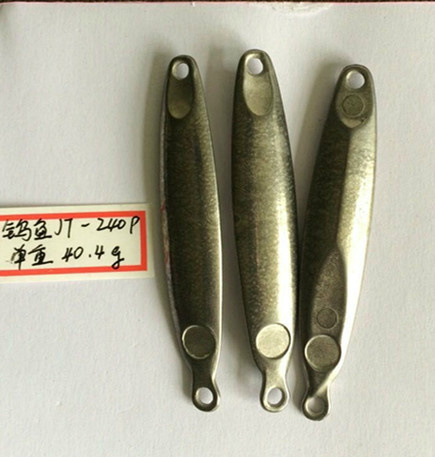 Shapes of Tungsten Alloy Fishing Jigs Shapes of fishing jigs can be different and very much depend on the place you would like to fish. Generally, sea fishing jigs are heavier than river fishing jigs. We offer it in various shapes, bullet, drop, tube, semi-drop and cylinder and weights with option of polished edges to prevent the line from cutting. We also offer plastic inserted and painted tungsten fishing jigs. The product can be colored with black, brown, green, red and so on. We also offer plastic inserted and painted it. And the paint we use is environment-friendly lead-free paint, which meets the request of people who protect the environment and sustainable development of the Earth. Tungsten Alloy Fishing Jigs for Deep Sea Fishing Sea fishing is becoming more and more popular as more anglers are preferred to searching for the ultimate thrill in fishing. That is exactly what you will get when you venture out deep into the depths of the ocean where some of the biggest pieces of fish you will ever find are located. Sea fishing is considerably harder than fishing in river or lake and you should have self-contained fishing tools. 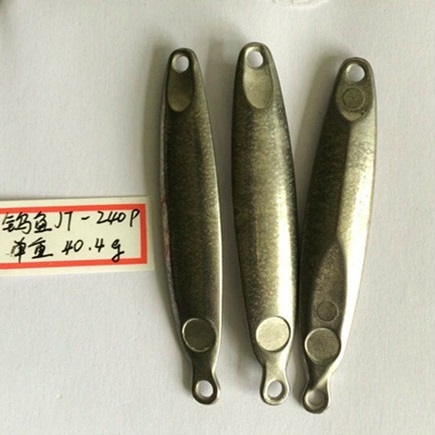 Tungsten alloy will be good tools for sea fishing. Using tungsten fishing jigs is the fastest and easiest way to add significant weight to your lure. We offer sea fishing sinker such as it, bank sinker, egg sinker, 3 sided pyramid sinker, storm sinker, claw sinker, cannon ball sinker, down rigger ball, rock cod sinker.